For over 50 years we’ve been delivering milk to doorsteps and we’ve never missed a day, no matter what the weather. These days we deliver much more than just milk and we have rounds covering much of north Shropshire, Wrexham and beyond. See where we deliver for more information. We deliver four days a week: Mondays, Tuesdays, Thursdays and Saturdays. Why have milk delivered to your door? Price: Our milk prices are the same as or cheaper than supermarkets. Fresh, local produce: Our milk comes fresh from local farms. Convenience: Not just milk but lots of other fresh, local foods delivered to your door. 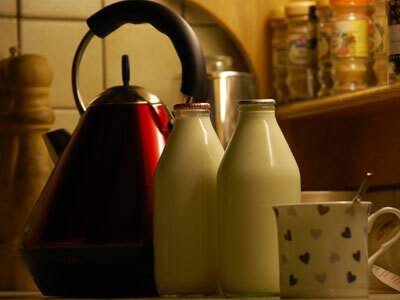 Fill in the form below and we will get back to you or phone us on 01691 778266 and find out why doorstep milk deliveries are making a comeback.